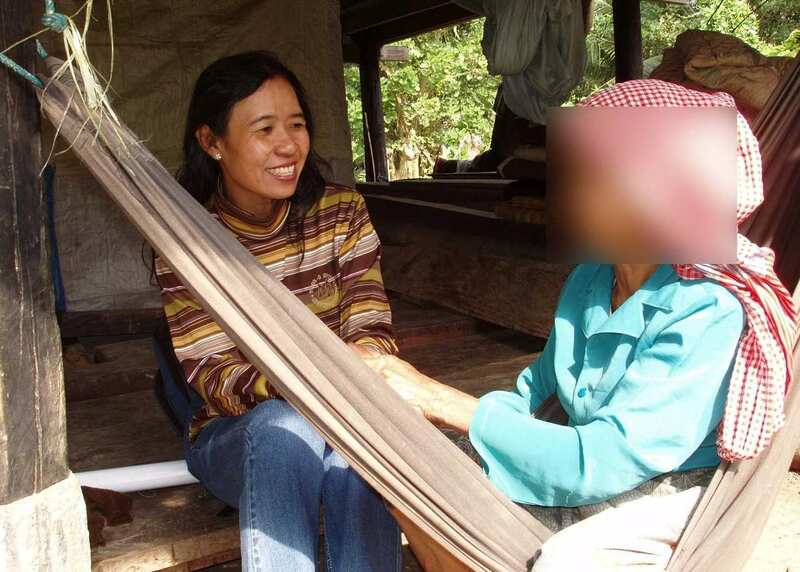 TPO Cambodia works in the communities, with the communities. 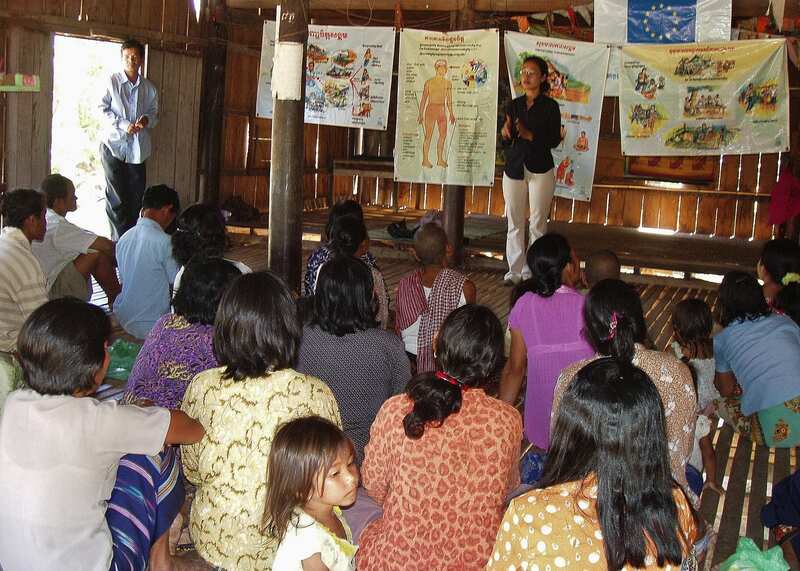 All the community mental health work done by TPO Cambodia is underpinned by 4 principles. We provide locally available, affordable services, which are effective for the management of mental disorders and psychological problems of Cambodian people and communities. We focus not only on the illness, but also on the social and cultural impacts on individuals and communities. We engage and mobilize the communities themselves in mental health care as much as possible. Economic, social and cultural factors are part of people’s well-being – pictured: a savings group meeting supported by TPO. Human capacity and well-being are made up of not only the physical and mental health and knowledge and skills of individuals, but also the social and economic conditions they live in. The Transcultural PSYCHOSOCIAL Organization (TPO), as the name says, focuses on Cambodians’ ‘psychosocial well-being’, a term that points explicitly to the psychological, social, cultural and economic effects on individual mental well-being. TPO takes initiatives that recognize both the psychological aspects of people’s experiences as well as the wider context, targeting all affected levels of society: the individual, the community, the society. Community Resource People during Mental Health Training by TPO Cambodia. Our programs primarily aim to build and enhance community resources and capacity in preventing and dealing with psychosocial distress. Our aim is to ‘help people to help themselves’, but we do this building on the skills and knowledge already available in the communities and drawing upon existing social networks and cultural values. As a first step, we always assess the challenges people face and the resources they have to meet those challenges. We believe a program can only be successful and sustainable if beneficiaries and stakeholders see its relevance, engage with it, contribute to it and feel empowered. We put strong emphasis on knowledge and capacity development, building on existing skills, networks and resources. Psychosocial interventions are undeniably of most benefit when they increase the capacity of people to meet their own needs on a sustained basis. TPO is determined to build knowledge about mental health – a new concept to many Cambodians, in particular to those in rural areas – through awareness raising and advocacy activities. During our work, we make sure that the people we work with become aware of the relationship between mental health and the day-to-day problems they experience or observe. This helps them to seek appropriate help and contributes to the establishment of social norms that make violence, alcohol abuse and the discrimination of people with mental health problems unacceptable. Our psychological support and treatment targets different levels – individual, family and group – and takes into account what the local people regard as appropriate emotional and social functioning and well-being. This means that often we integrate, where appropriate, local social and cultural resources in our work (such as Buddhist rituals). We also provide specialized treatment for people with more severe mental health problems through self-help groups, individual counseling and psychiatric treatment. Many of our projects also aim to heal the emotional and social scars left after decades of conflict. To do this, we organize truth-telling activities, memorialization initiatives and engage in a number of reconciliation activities in collaboration with the Extraordinary Chambers in the Courts of Cambodia (ECCC), also known as ‘the Khmer Rouge Tribunal’. Our programs also include prevention components such as peace education and non-violent conflict resolution. In all our projects, we do highlight the link between rights protection and mental health and well-being. We have found that once the psychological well-being of people has improved, they become more active and start engaging in improving their livelihood, which leads to further overall well-being of their family and community. This is why, in some of its target areas, TPO Cambodia helps its beneficiaries improve their livelihood through. Examples are participation in a chicken raising program or a savings group. 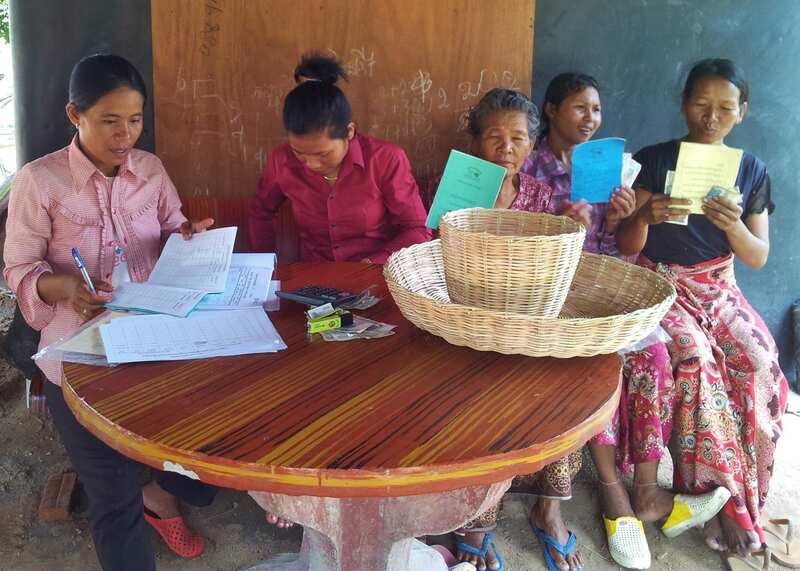 In context of our work as the leading NGO in the field of mental health in Cambodia, we have completed various research projects and continue to undertake more research to contribute to knowledge about mental health in Cambodia. For more details see our Research & Consultancy page. Providing mental health support to individuals, families and communities is part and parcel of what we do. Also check our Community Mental Health Programs page for more details about the Conceptual Model underpinning our mental health care work. A detailed description of TPO’s Conceptual Model is available upon request by email to admin@tpocambodia.org.